President’s Day is coming up and that means it is a good time to take a moment and reflect on the many varied presidents this country has had over its short history. They have come from all walks of life and have had very differing views of what America should be. Much of these presidents’ views were based off the time they led their county and their own history. But most of the presidents throughout our history have held a few common beliefs and goals for our country, and its direction as a whole. 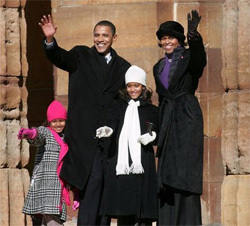 President Barack Obama was born to a father from Kenya and a mother from Kansas. Obama worked his way through college, aided also by student loans and scholarships.